The US is home to some of the most breathtaking snowboarding spots in the world. 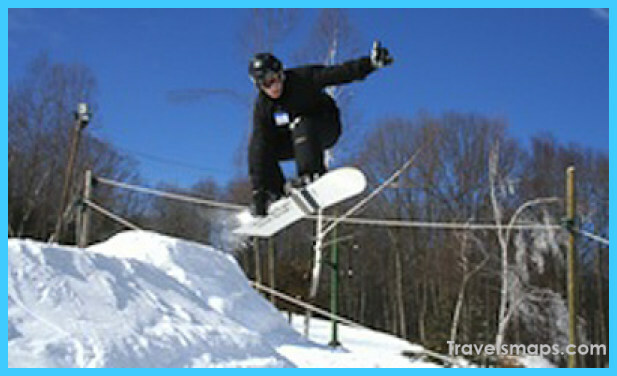 Whether you seek extreme snowboarding, a relaxing snowboarding getaway or a spot to learn beginner snowboarding, the US caters for all! When you are starting out as a snowboarder, it is important you find a spot that will give you the perfect leverage to learn the skills. Some parks can cater for groups that are of mixed levels. 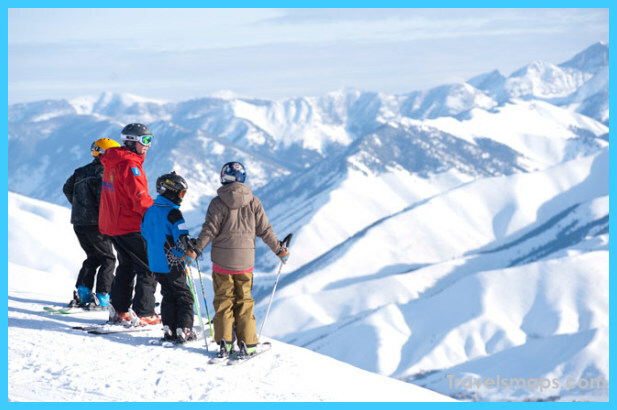 Contacting resorts and inquiring whether they are appropriate for your snowboarding level is a good step to take before booking your trip. Mammoth: Mammoth is a great location for snowboarding of all types. They both have family friendly facilities, while providing opportunities for extreme snowboarders too. 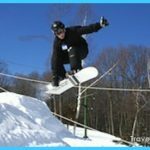 Park City: If you are planning to improve your snowboarding skills or you are starting off as an absolute beginner snowboarder, Park City has an impressive range of instruction programs. With private lessons, specialty programs, camps, colleges, academies, group lessons and kid-directed lessons, Park City is perfect for learning. Keystone: With spa facilities, tennis, mountain biking, fabulous dining, golf, shopping and all sorts of winter activities, Keystone is the place to go if you are seeking a relaxed snowboarding getaway. Perfect for families, Keystone provides entertainment for kids and parents of all kinds. If the idea of extreme snowboarding gets you excited, the US is the place for you. Some of the world’s most extreme snowboarding spots are in the US. Breckenridge: Go to Breckenridge for a truly extreme snowboarding experience. 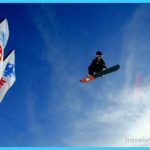 Commonly identified with extreme snowboarding, Breckenridge often plays host to athletes and snowboard competitors, hosting major snowboarding competitions. Squaw Valley: Here is another park perfect for extreme snowboarding. It has lots of unmarked expert terrain, perfect for thrilling as it provides you with maximum control over your runs. 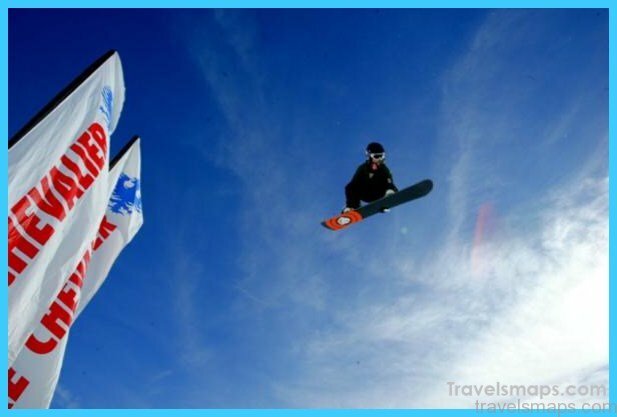 Vail: This is one of the largest resorts and it holds seven legendary Back Bowls, which are an excellent challenge for extreme snowboarders. In addition to expert geared terrains, Vail has beautiful scenery. 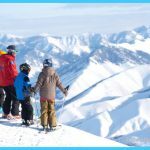 Heavenly: Favouring intermediate to expert snowboarders, Heavenly features some very difficult terrain and double black diamond runs. Of all of the Lake Tahoe resorts, it is the most vertical resort. Snowcapped Tours specialises in providing individual domestic and international ski holiday packages that cater for all levels of skiing and snowboarding enthusiasts at some of the best prices in the market.The experienced team at Snowcapped Tours is renowned for providing the highest level of customer service and exceeding client expectations.Contact Snowcapped Tours at www.snowcapped.com.au and let them find the best ski holiday packages for you.